I remember seeing a rotating hairbrush in one of those tv commercials (Telebrands?). It roll and rolls and makes hair look super sleek. I used to get so tempted to buy it before I got my hair permanently straightened. This mascara reminds me of that hairbrush, which I hear isn't great. 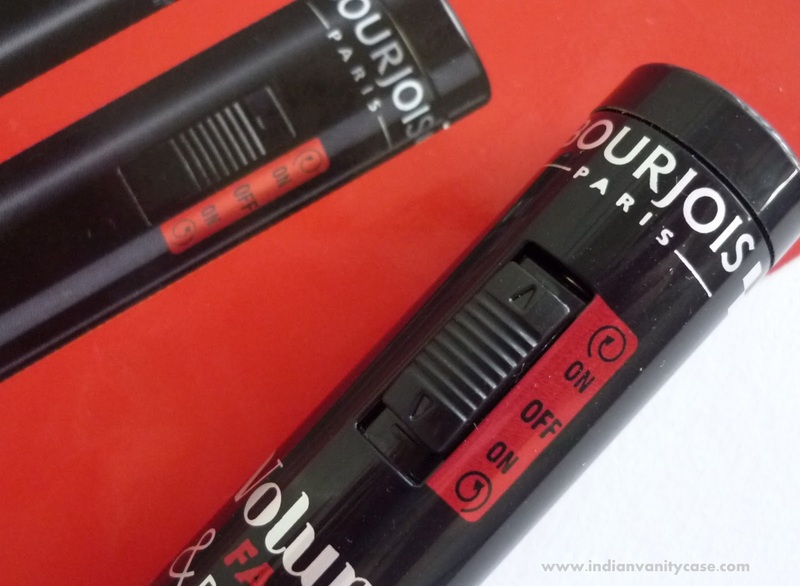 Getting back to topic, it's time to tell you what I think about Bourjois Volume Fast & Perfect Mascara with the much-talked-about rotating brush, which rotates 360° and claims to coat lashes from root to tip with no overloading & give false lash volume effect in 30 seconds. You push button to one ON to turn brush in one direction & the other ON in the opposite direction. If you twist & open the top, you'll see a silver button battery, that's bigger than a regular watch battery. When you're doing your right eye and holding brush with your right hand, push button to ON below the OFF. Basically, the wand has to rotate anti-clockwise. Step 1 - To coat your upper lashes, push the button to the left and the brush will rotate anti-clockwise. Step 2 - To coat your bottom lashes, push the button to the right and the brush will rotate clockwise. 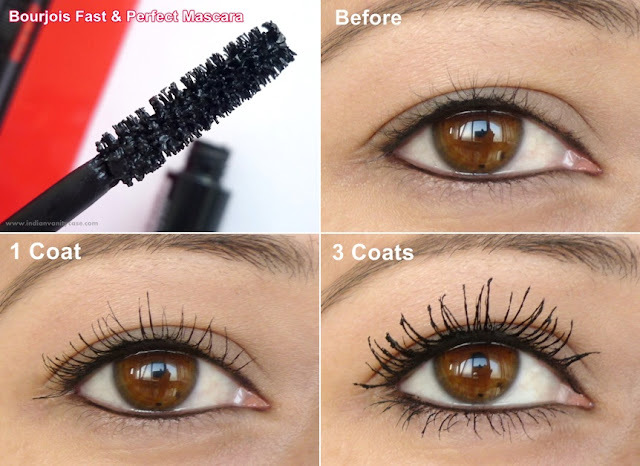 Gently apply the mascara from the roots to the tips of the eye lashes, in a slow, gentle movement. The Good: The rotating brush helps lift my lashes from the roots & it coats lashes evenly without having to dip the brush into the tube more than once or twice, it separates my lashes, not clumpy, doesn't smudge on the lids while being applied, rotating brush works well on lower lashes too, formula doesn't irritate my eyes, easy to wash off. The Bad: It is not waterproof [but water-resistant], the formula is on the thicker side so it might dry quickly. I can't comment on the battery life right now, but the mascara and the rotating wand? WOW... Super Hit! I'm hooked to this one. I don't know if I can go back to a still (boring) mascara now! 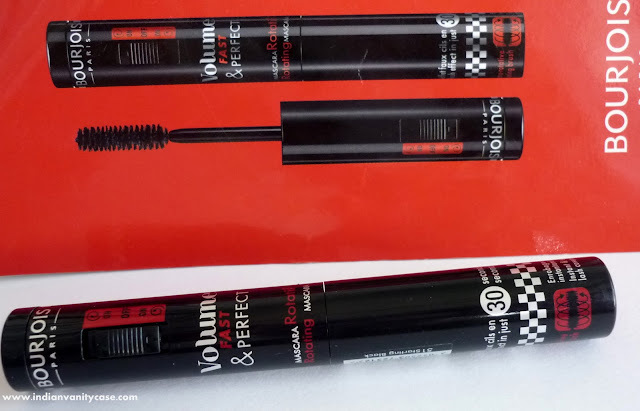 If you liked the Maybelline Pulse Perfection Mascara (with vibrating wand), then this is it's better/more hard- working/perfectionist sister friend rival. Price ~ Rs.825. Just right. Wow it lengthens your lashes well! WHAT? This sounds pretty cool! We love your blog is wonderful and will always be here reading all the news. We wish you a great weekend. wow your lashes really pop..
wow the volumizing effect is excellent ! WOW!!! I am gonna get this one!!! So cool!! 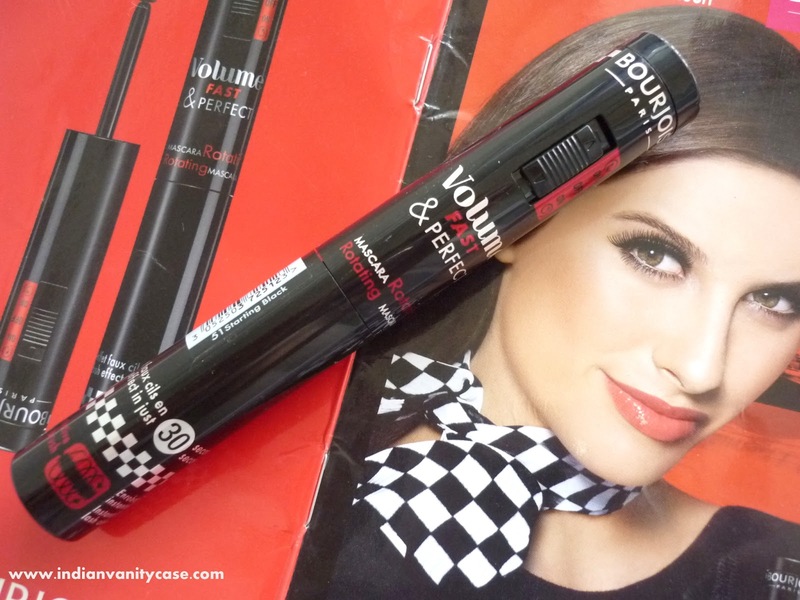 This looks so good, I love trying new mascaras so will add this one to my list! Is it good for holding curl? because my asian lashes are very fine and straight. wow!! this looks great!!! love how it lengthens your lashes! ur lashes do look wow after !! omg a rotating brush !! i need this asap ! Oooh. Even if you don't like the formula i bet you could wash it and use it for other mascaras! Can you tell me where I can get this in Mumbai? Online or retail, ,anything? I couldn't find this anywhere.